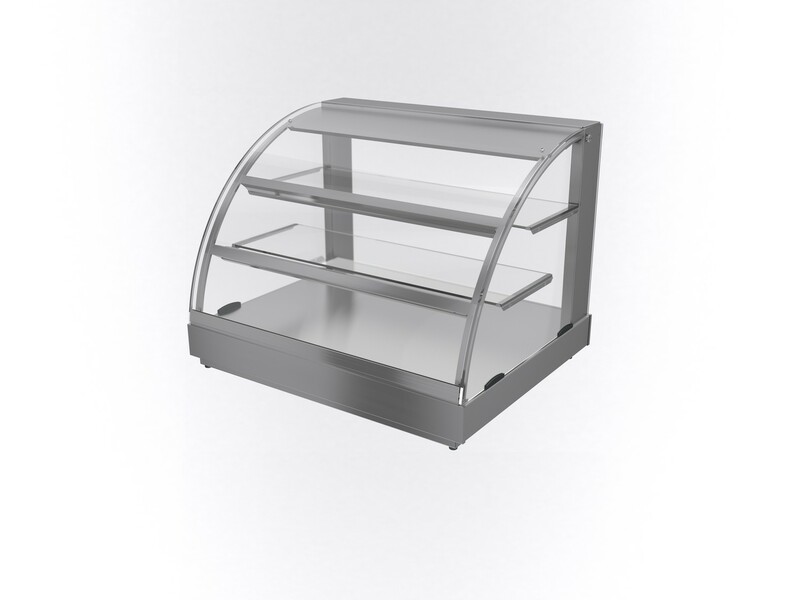 • Ambient countertop food display for self help service. • Ideal for confectionery, crisps, fruit etc. • Customer access via three hinged acrylic flaps. 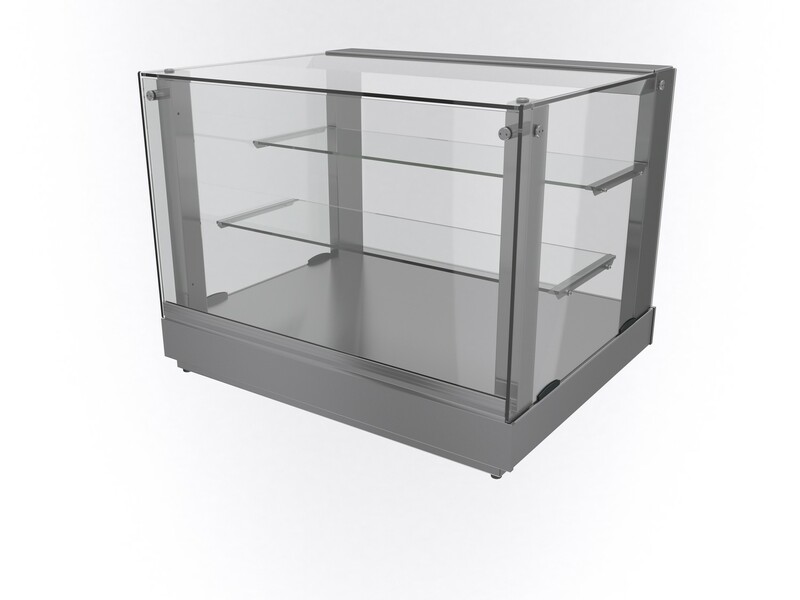 • Produce displayed on two removable glass shelves and base level. • Illumination to all display levels. • Fixed back as standard. Rear doors not available for this display. 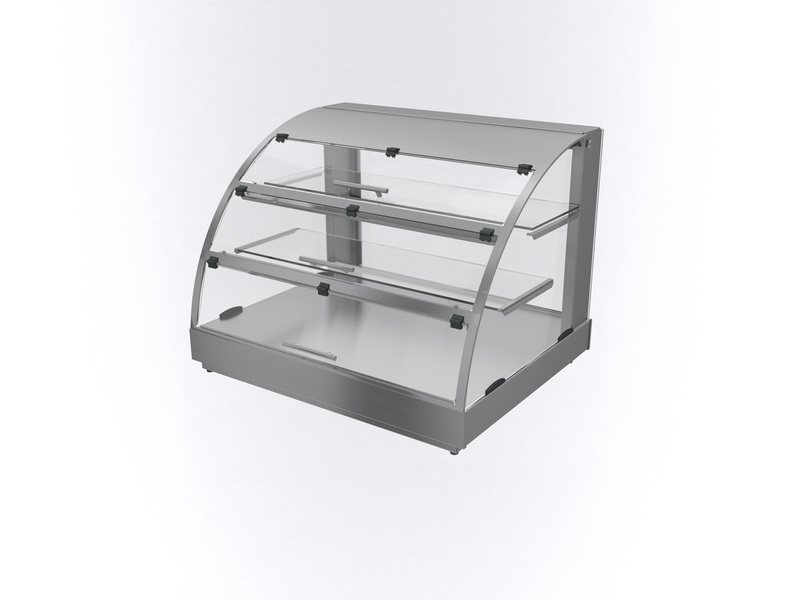 • Ambient countertop food display for assisted service. • Full height glass to front of display. • Open back as standard. Rear doors not available for this display. 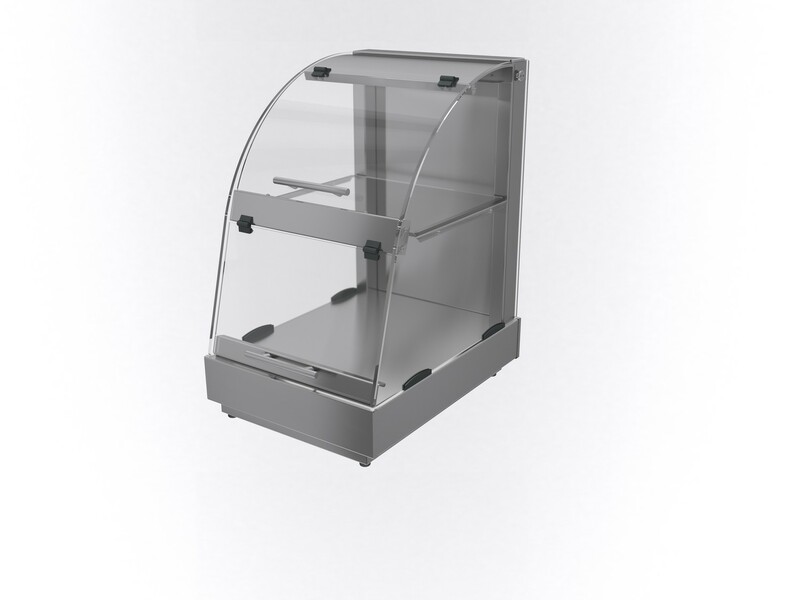 • Ambient display perfect for pastries, fruit, confectionery and bread. • General construction from 430 satin polished stainless steel. • Fixed back unit with 2 front flaps for self service. • Stainless steel base and perspex shelf.